Aarsun presents Royal Diwan in Premium Quality Wood. 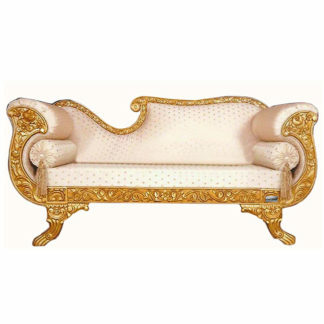 Handcrafted by experienced craftsmen with Gold Polish and intricate carvings, the couch is great for a feel of royalty at home. Grab one for your place or contact us in case of customization.